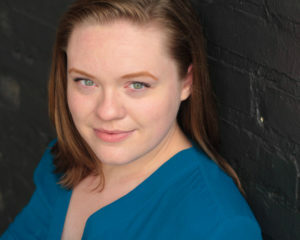 Katie Suchyta, an Actor in Residence since 2015, tied for “Best Actress” for her portrayal of Rachel in Nancy Temple’s “Frank and Rachel” in the 2018 Playwrights’ Platform Festival. A graduate of Wellesley College, she’s appeared as Puck in A Midsummer Night’s Dream, Mary in The Footlight Club’s Pride and Prejudice, and in the Boston Theater Marathon, SHOTZ Boston, and The Boston One-Minute Play Festival. Her directing credits include: Ira Levin’s Deathtrap, A Midsummer Night’s Dream, The Tempest, Hamlet, and 10-minute plays for SHOTZ Boston, the Playwrights’ Platform Festival, and Roxbury Rep’s 6 Playwrights in Search of a Stage. When not in the rehearsal room or on stage, Katie works as the Event Manager at Kidville Wellesley.